The company has reassured senior politicians that the sale is a strategic move and not a direct result of the fall in the pound. The largest payment processing company in the UK, Worldpay has agreed to a ₤9.3 billion takeover by its US rival Vantiv after reassuring MPs that the deal was in no way a cheap post-Brexit sale to a foreign firm. A spokesperson for Worldpay explained how the deal was beneficial to the company strategically to senior politicians in an effort to assuage fears that the recent fall in value of the pound was turning British businesses into bargains for foreign companies. 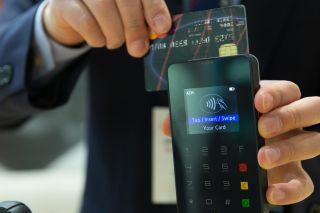 On Wednesday, Worldpay said that it was offering Vantiv 397p a share valuing the company at ₤8 billion. Vantiv will also cover the company's debts as part of the deal which come to ₤1.3 billion. If the deal goes through, the group will be renamed Worldpay and its headquarters will be located in Cincinnati where Vantiv is based. The new Worldpay will also be listed on the New York Stock Exchange with a secondary listing in London. Currently Worldpay handles 40 per cent of the card payments at tills in the UK but this number is set to grow as more consumers have begun to use their cards both online and at shops.